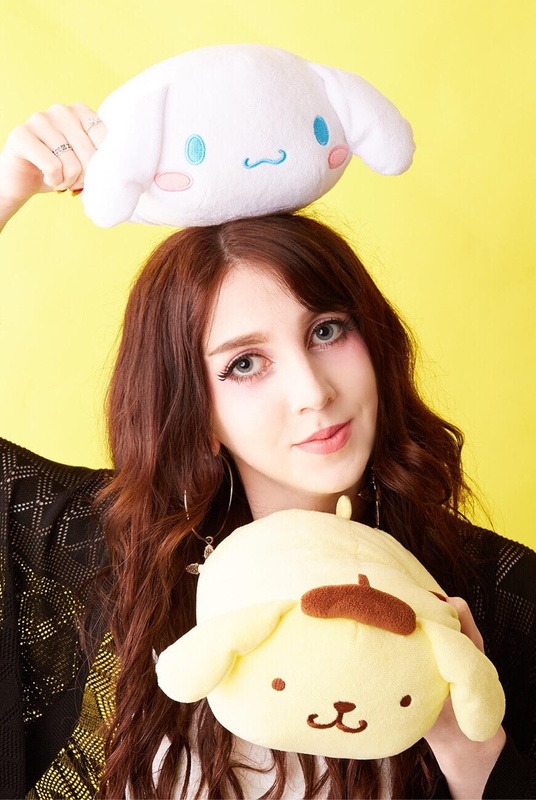 10 Japanese Summer Festival Snacks And Candy! Been busy trying out these Japanese recipes yet? Or drooling over these food displays? 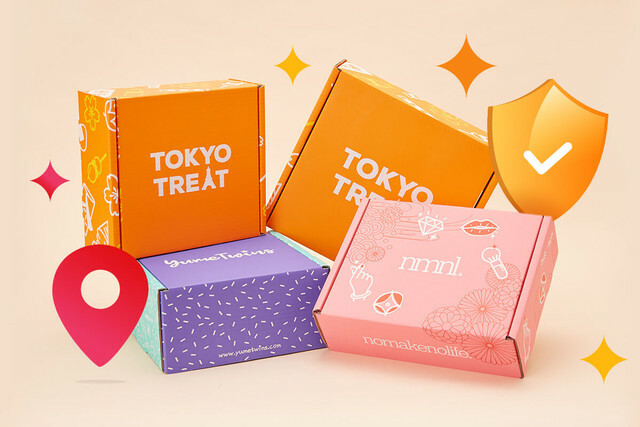 Well we've got even more Japanese candy and snacks for you Japanese candy box subscribers to feast your eyes on! 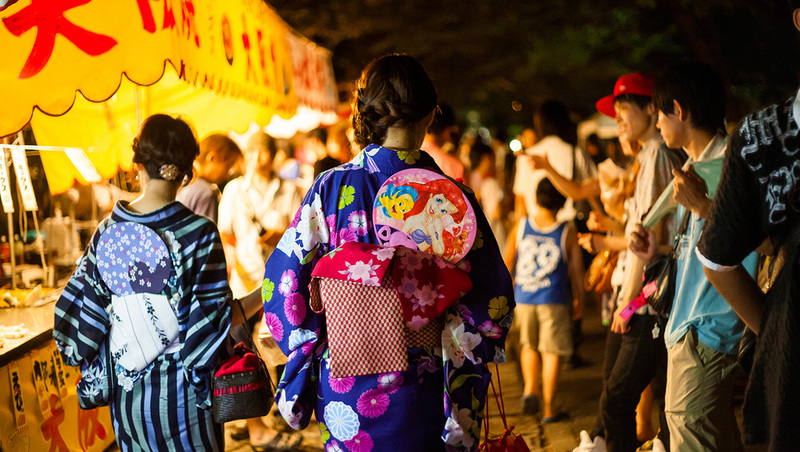 Summer is the season of festivals in Japan, and no we don't mean music festivals! We mean traditional Japanese festivals often in conjunction with shrines, temples and spiritual events! What's so special about these festivals you may ask? People dress up in traditional Japanese clothes, there's performances, but most importantly there's FOOD! 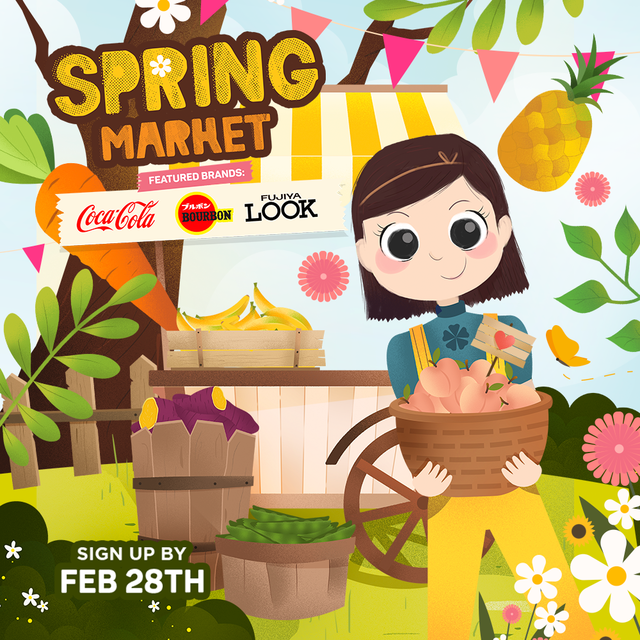 An absolute abundance of stalls selling Japanese candy and snacks, it's literally a Japanese candy lovers heaven! 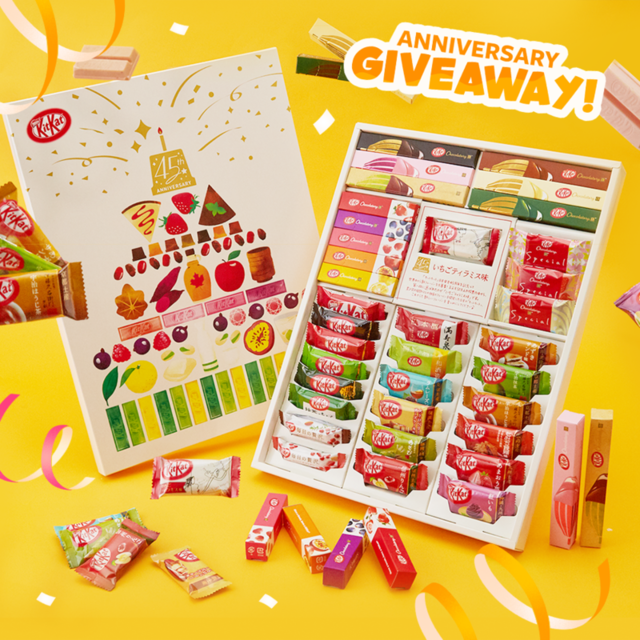 We wish we could send you all these goodies in your Japanese candy boxes but for now we'll just have to look at all the tasty pictures! 10. 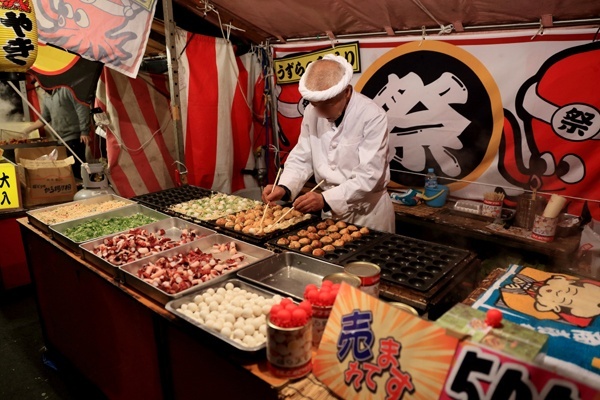 Takoyaki - Takoyaki is a popular street food from Osaka, but you can always find Takoyaki at festivals across Japan! It consists of octopus meat cooked in batter and topped with sauces like mayo and bonito flakes! 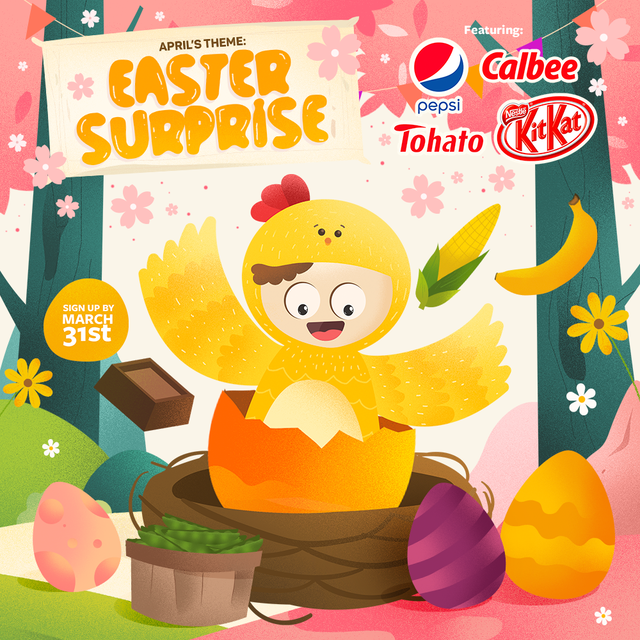 Definitely one of our favourites at TokyoTreat as its so tasty!! 9. 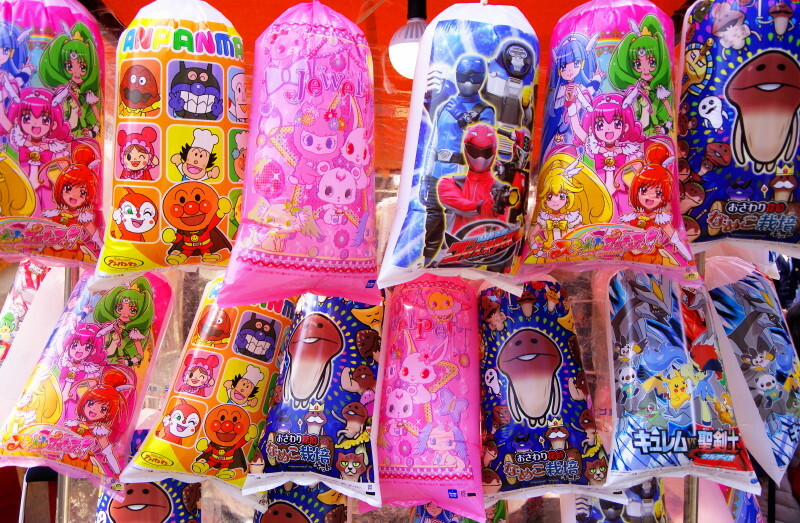 Wataame - Literally just your good ol' regular cotton candy, but sold in cute anime packaging! 8. 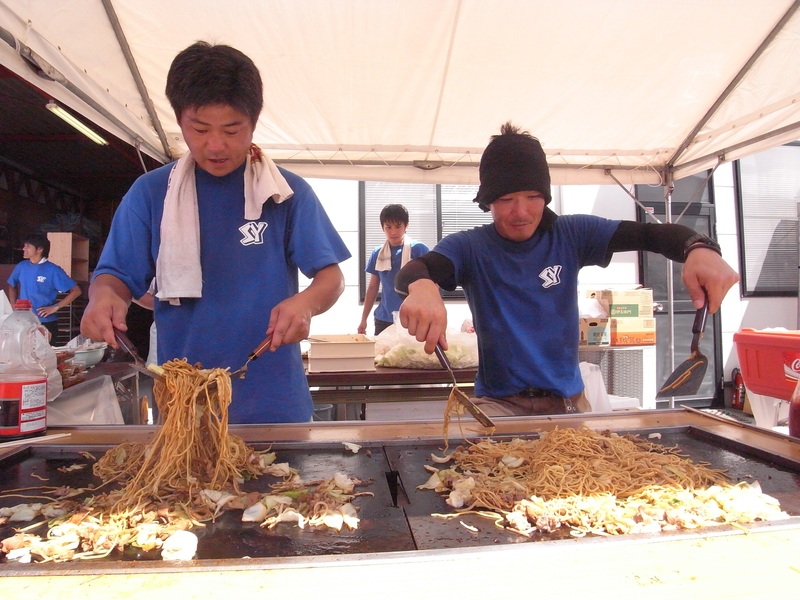 Yakisoba - Fried noodle dish, often containing cabbage and meat. A delicious staple festival food you'll find hard to miss. 7. Chocobanana - Simple but delicious! 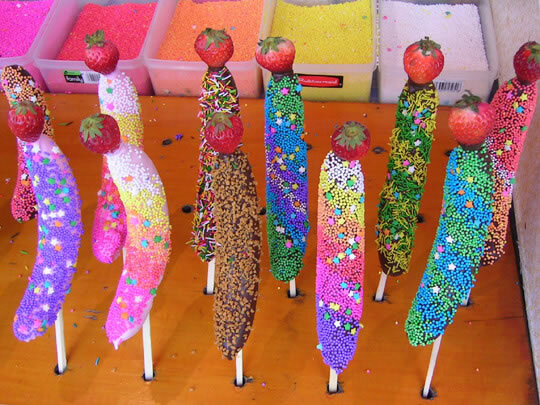 Bananas dipped in chocolate and colourful sprinkles. 6. 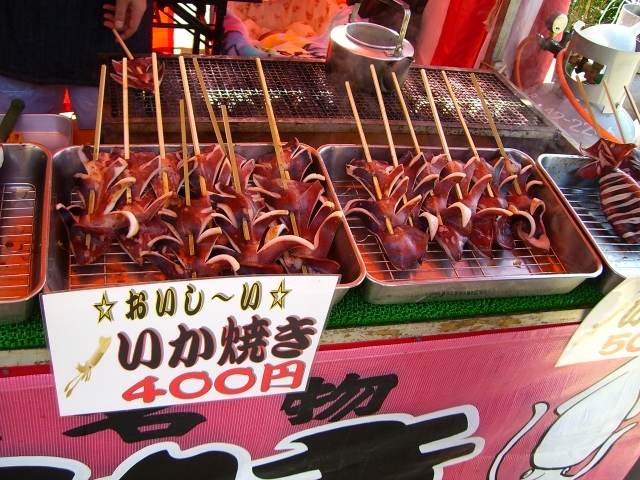 Ikayaki - Grilled marinated squid. Not for everyone but those who love seafood will be sure to enjoy. 5. Baby Castella - Simply tiny freshly made castella cakes often in the shape of cute mascots or characters like Doraemon! 4. 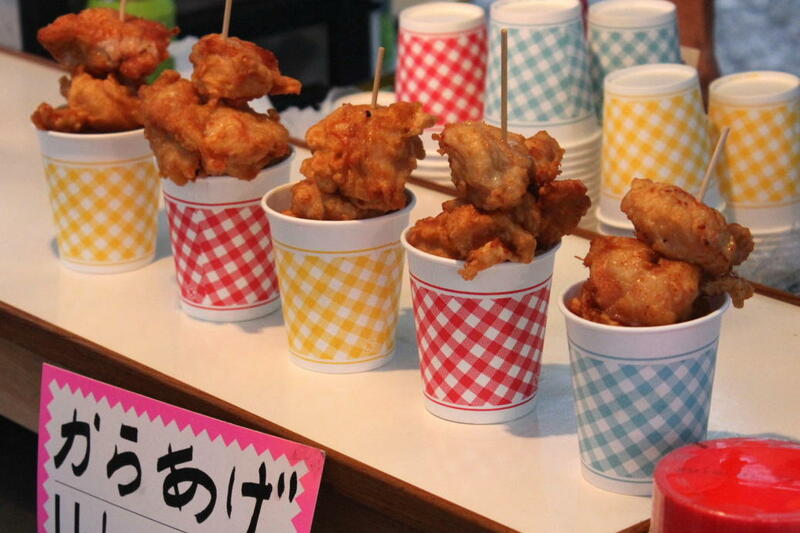 Karaage - Another dish that's also common outside of festivals, just fried chicken on a stick for mess free eating! 3. Ringoame - Candy apples! 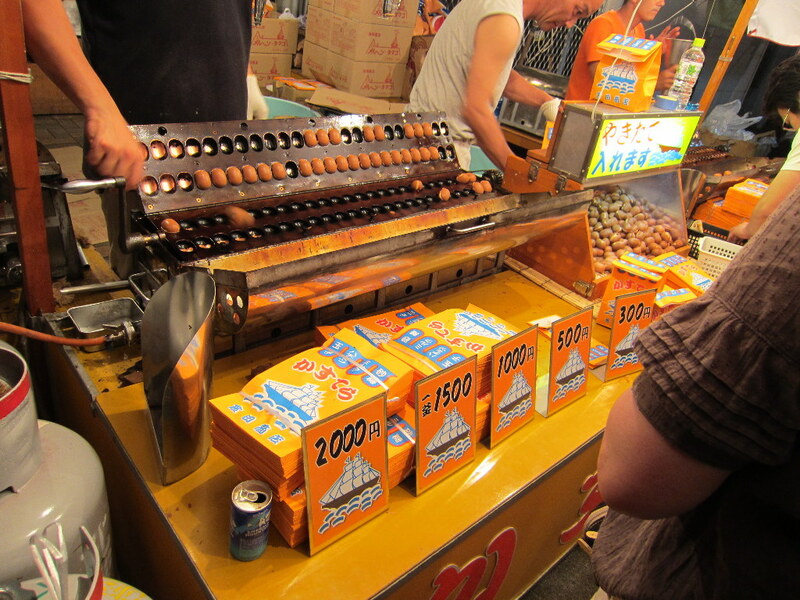 Normally a Halloween treat for those outside of Japan, but here they're also a festival staple! 2. 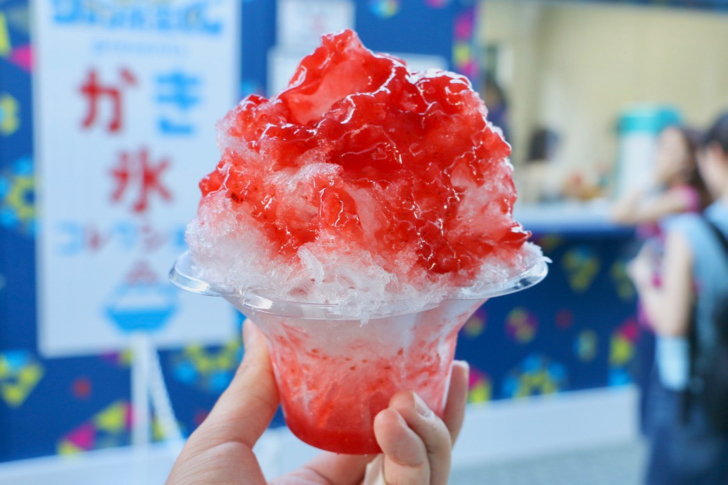 Kakigori - A definite must for the summer seasons! Shaved ice with flavoured syrup and other goodies. 1. Taiyaki - Fish shaped pancake-like snack. 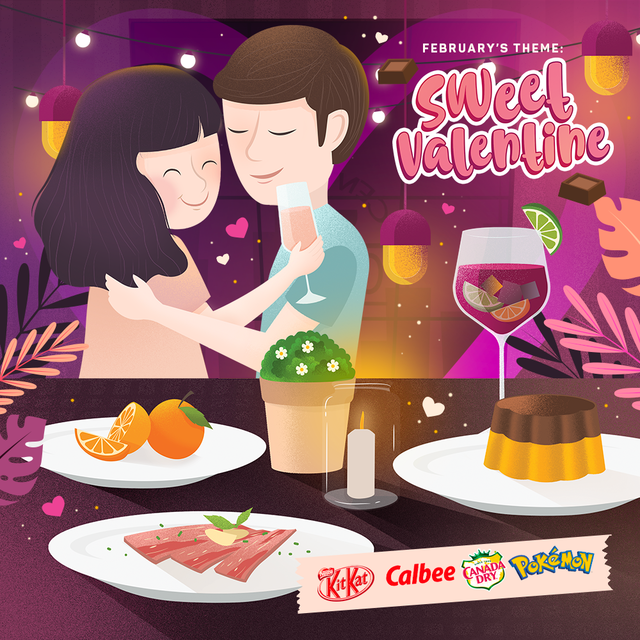 The inside is filled with sweet red bean paste or sometimes custard. 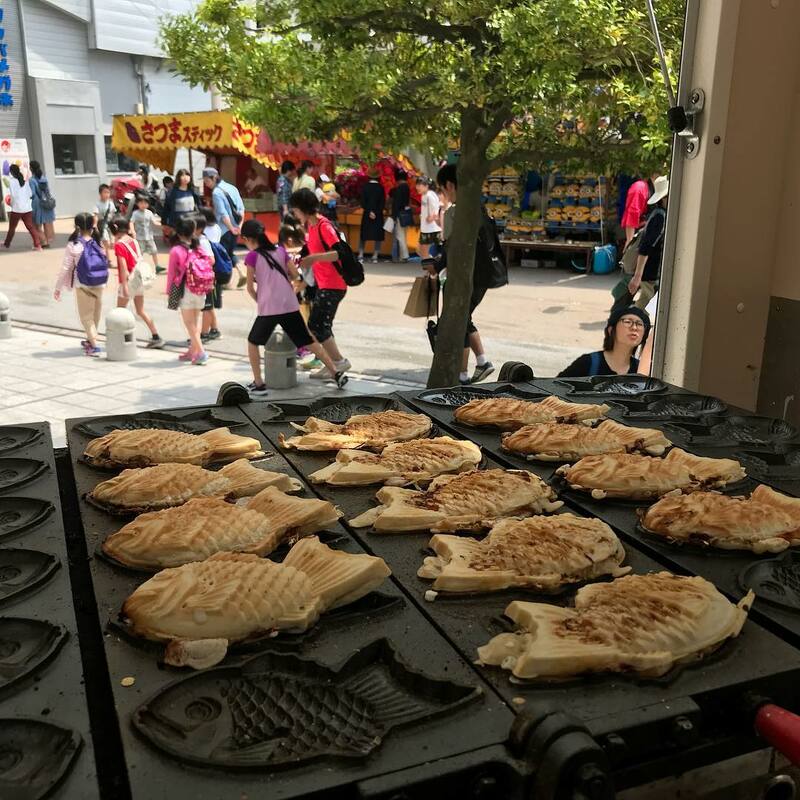 You can also find Taiyaki all over Japan! 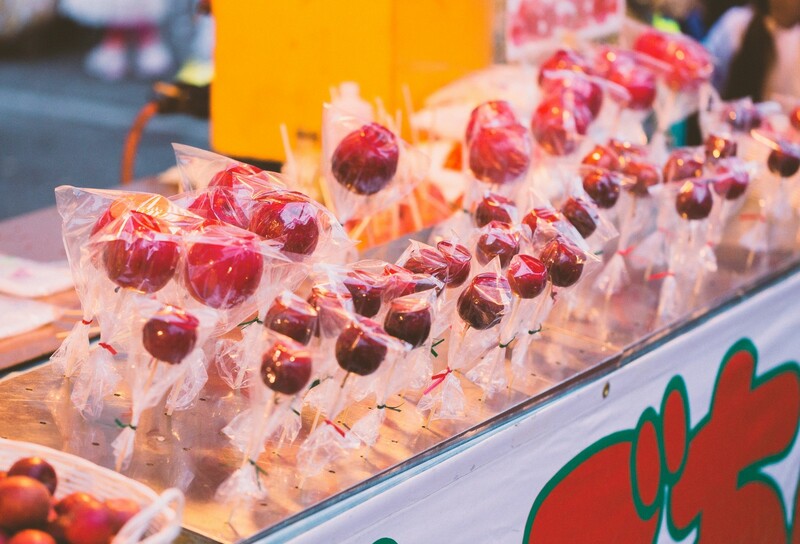 What do you think of these Japanese summer festival snacks and candies? Have you tried any? If not which would you like to try? Let us know in the comments! Keep up with all fun foodie news coming out from Japan by following us on Facebook, Instagram, and Twitter! 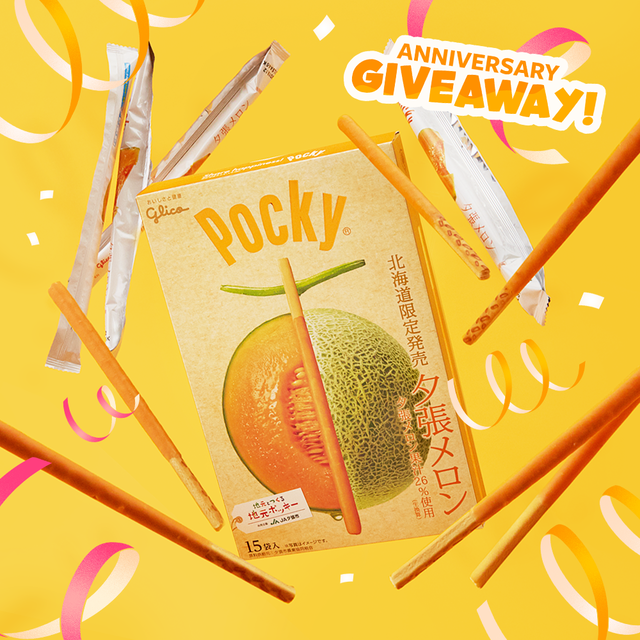 Want to get a FREE Japanese candy box? 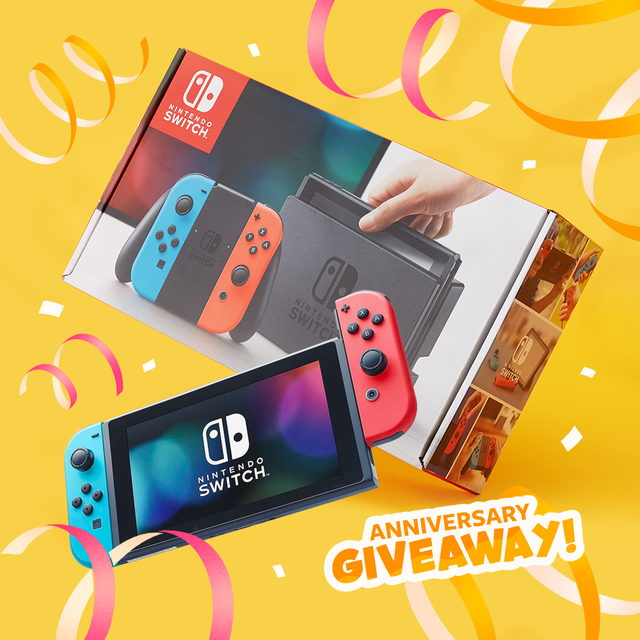 Check out how to get one here!